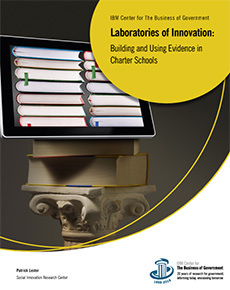 Are Charter Schools Really Laboratories of Innovation? This is National Charter School Week! Charter schools have been a part of the landscape of U.S. elementary and secondary education for more than two decades, enrolling about five percent of K-12 public school students across the country. They have been touted as providing choice to parents and students in the provision of education, and they have been long promoted as a key source of innovation in educational performance techniques. But are they really innovative? School missions that focus on boosting academic achievement. Interestingly, when these same practices were adopted in traditional public schools in Houston, there were significant increases in mathematics achievement, but less on reading. The available revenue-per-student is weakly related to student achievement. Lester writes that the evidence suggests that “other factors were more important.” (such as individual school practices). Lester concludes that “Charter schools might improve their performance if more research was conducted on their practices” and if there was more experimentation in charter schools. He recommends that more evidence- based research be supported on the effectiveness of individual practices in charter schools, and that government sponsors of charter schools encourage greater innovation. States are already encouraged to share best practices among charter schools and with traditional public schools, so this pipeline of best practices could be a vehicle to share evidence-based innovations, as well.